Ambitious plans to revitalise the Highland seaside town of Nairn have won a major design competition. The plan was submitted by #TeamHamish, a community organisation seeking to celebrate the legacy of a tragic local schoolboy who died of cancer. The parents of Hamish Hey have strived to make improvements in the town in memory of their 11-year-old son with the help of Nairn Improvement Community Enterprise (NICE). Their designs for Nairn have now been voted by the public as winner of the national ‘FutureTown’ Design Competition. The aim of the design was also to increase the attractiveness of the town as a tourist destination. The holistic design includes a focus on both the Links area and the town centre carpark, including the renovation of the Viewfield House and grounds as an alternative attraction during poor weather. The design received strong public support among a shortlist of 10 entries. Organised by Scotland’s Towns Partnership, the FutureTown Design Competition is aimed at stimulating conversations, provoking ideas and encouraging new approaches to highlight what the country’s towns could look like now and in the future. STP chief officer Phil Prentice said: “Congratulations to #TeamHamish for winning this year’s competition, and to all entrants for the original, innovative and positive thinking demonstrated in their ‘future town’ designs. Sam Hey, Hamish’s dad, said: “We are absolutely delighted to have received the most public votes. This is such an honour, particularly when we see the high quality and thought that has gone into the development of the other shortlisted ideas. 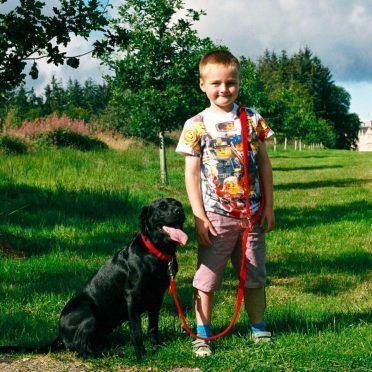 “When we established #TeamHamish, we had two principle aims – to create a legacy for our son whose life was cut tragically short and to create places and spaces that could be enjoyed by the community of Nairn who have supported us with so much love throughout Hamish’s journey.